Please note that this page is informational, and does not replace the official Module Information Pack (MIP). All students attending this module must carefully read the MIP which can be accessed online via Blackboard. This module runs for 3 weeks and in it students learn a little about most phases of software development including analysis, requirements, APIs, marketing, analytics, testing, tuning, etc. The students learn how to build mobile apps using MIT's AppInventor, and in the end they use their apps to participate in a Treasure Hunt competition. 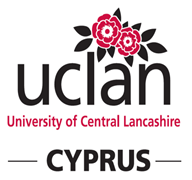 This module is largely based on the 4-week challenge offered at UCLan's Preston campus. If you are curious to learn more about the API used for forming the Treasure Hunt apps, have a look at the AppEngine-based server at http://uclan-thc.appspot.com. Prepare and present an academic report and poster. Students are encouraged to study and learn in groups. However, individual assignments should be the result of their personal effort (unless group work is explicitly asked). As a principle, you should follow Gilligan's Island Rule: you can discuss assignments with your classmates, but you should not take any notes (electronic or not) from these meetings, in order to be able to fulfil your assignment independently using your own undestanding of the lectures and the group meetings. Attending the lectures is mandatory. Students should respect the right of their classmates to attend without disruptions or unnecessary interruptions and thus you should not arrive late (or leave early) unless absolutely necessary. You are asked to respect the intellectual copyright legislation, concerning copying and using software and books (in electronic or print form). Extensions to assignments will not be granted. In exceptional situations, you should consult the Year-1 Tutor. Plagiarism is a serious offense. The University uses plagiarism detection software for all assignments and offenders are subject to the University's rules concerning plagiarism. More details about what plagiarism is (and is not) can be found in your MIP, which is available on Blackboard.